Are you looking for an effective method to control the curls or waves in your hair? Achieve the sleek and smooth look you’ve always wanted with a professional S2R Hair Studio LLC brazilian blowout treatment that leaves hair shiny, silky and straight. Our hair care experts are experienced enough to realize that each of our client has different hair requirements. Allow our style and straightening experts to provide you with a thorough assessment that determines the most appropriate brazilian blowout technique and products best suited to your needs and hair type. 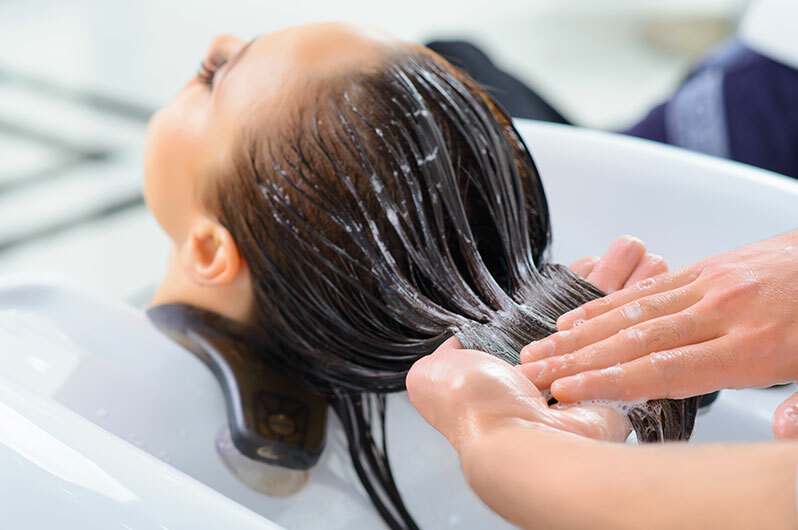 S2R Hair Studio LLC brazilian blowout treatments makes your hair easier to manage and can reduce the time you normally spend struggling with styling each day. By breaking down the hair strand and changing its structure, advanced hair relaxing treatments alter each strand, eliminating fuss along with frizz. Our customized hair relaxing treatments can be applied to any and all types of hair with success, even hair that has been chemically-treated. Brazilian blowout can have a lot of chemicals in them and that is why we offer a variety of options. Depending on the hair type of our clients, we can offer smooth and silky hair, without the use of harmful or damaging products, S2R Hair Studio LLC provides the most advanced brazilian blowout systems that offer the spectacular shine and results you seek. Completely safe and formaldehyde free, our superior products will make your hair more manageable and significantly reduce drying and styling time. Although home blowout kits are available, mixing and applying the necessary chemicals to your hair can be potentially harmful and ultimately damage hair if not done correctly. Our salon professionals always perform a strand test to assess which type of brazilian blowout is best suited to your hair type and texture to achieve your preferred look. What is contained in blowout solutions? The active agent in all blowouts is a strong alkali in the form of a lotion or cream that loosens tight curls making them easier to straighten. How long does a blowout treatment last? Although results may vary depending on your hair type and texture, blowouts last on average for about 6 – 8 weeks similar to hair coloring treatments and can be maintained with regular salon touch-ups. Will a blowout treatment make my hair and scalp dry? Although any chemical treatment has the potential to dry the scalp, a professional hair technician, experienced in the knowledgeable and proper preparation and application of brazilian blowout treatments will follow a recommended neutralization process that brings potentially damaging pH levels down. Can I color my hair immediately after a brazilian blowout treatment? S2R Hair Studio LLC technicians recommend waiting at least a week and one shampoo before applying permanent hair color. What is the best way to care for my hair following blowout treatment? Take a step toward taming your tresses with a professional consultation from a S2R Hair Studio LLC stylist.